It's been a while since I show any night photos. On the way home on Thursday, I liked how the sky looked, but couldn't figure out a decent composition. 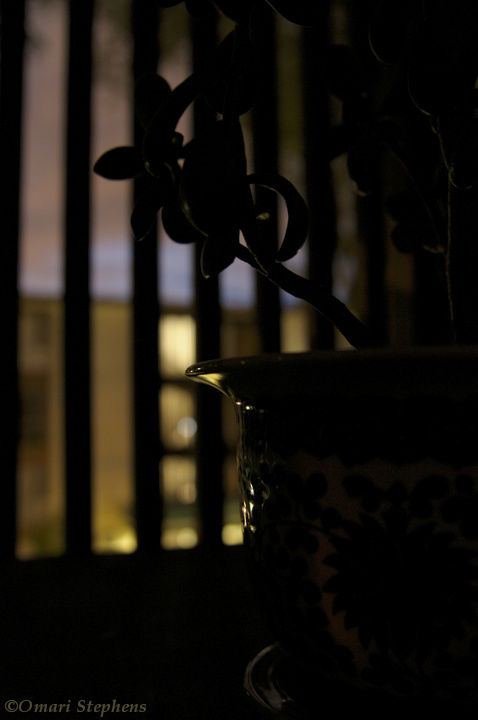 When I got home, I messed around with a flowerpot on my balcony and came up with this. I really like how the highlights on the silhouette and the muted colors in the background hint at the shape of the potted succulent. 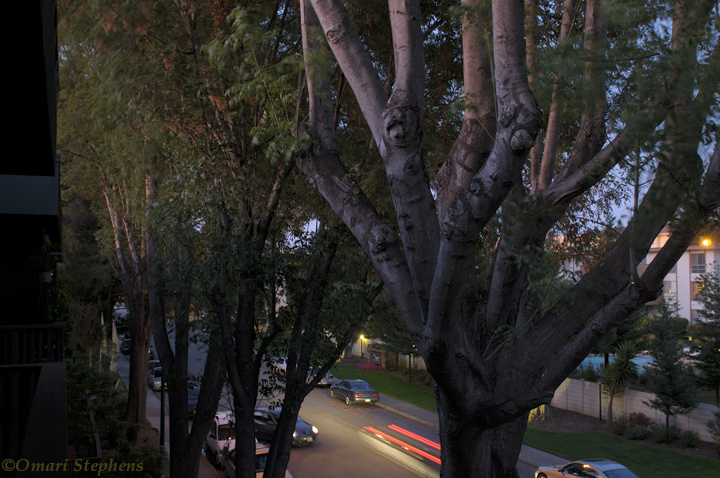 Yesterday evening, I got home a bit earlier and noticed the shadow of my apartment on these trees during sunset. I grabbed my camera, worked out a decent composition, and took a few shots, but they seemed to be missing something. Right on cue, a car pulled up and started to park as another drove past. I like the yellow of their headlights.